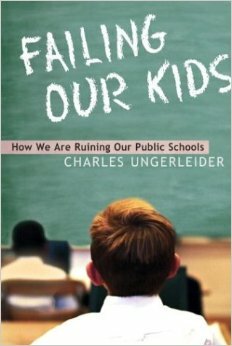 Drawing on the latest research and using examples from across the country, Ungerleider describes what’s right and what’s wrong about our public schools system and provides solutions for making them a lot better. He looks at the conflict between “traditional” and “progressive” approaches to education. He argues that the public school curriculum has become bloated, fragmented, and mired in trivia. He examines the effects of the changing family and the influence on children of television, the Internet, video games, and their peers. He discusses the work of teachers and teachers’ unions, the changes in public school finance and governance, and the issue of accountability. And he takes on the issue of school choice and competition, where, more than anywhere else, rhetoric prevails over reason. Researchers have found that traditional grades are likely to lead to three separate results: less impressive learning, less interest in learning, and less desire to do challenging learning.